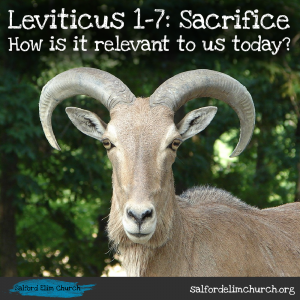 The book of Leviticus begins with a series of sacrifices – in particular the practicalities of how to prepare them. In this sermon I explore the significance of the sacrifices – God expects people to mess up, but gives them a way out of the mess! The care that they have to take reflects the care taken in the life and death of Jesus – the sacrifice that allows us to live freely with God as his holy people – for the sake of the world.